Illinois' Republican governor says he is "very concerned" that the state's residents might be "left in the lurch" under the health care plan proposed by congressional Republicans. Gov. 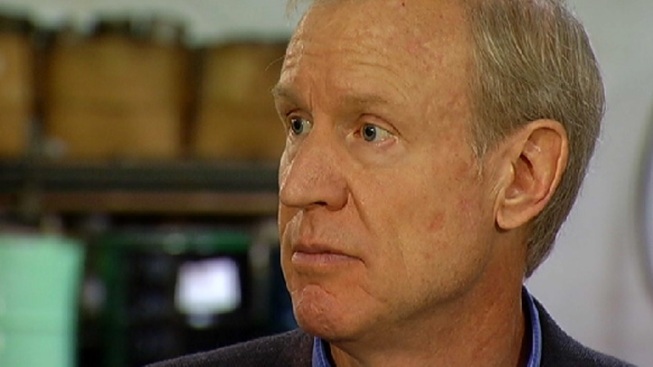 Bruce Rauner said Tuesday he is talking with his fellow GOP governors and members of Congress on ideas for changing the proposal. He declined to discuss his specific recommendations. But Rauner says his first impression of the proposal is "Illinois won't do very well under the changes they're recommending." He says he's especially concerned that it will result in "pressure to reduce insurance coverage for people in Illinois." Rauner says it's clear the Affordable Care Act is not affordable and it needs to change. He says "I support changing it but we've got to be thoughtful about it."